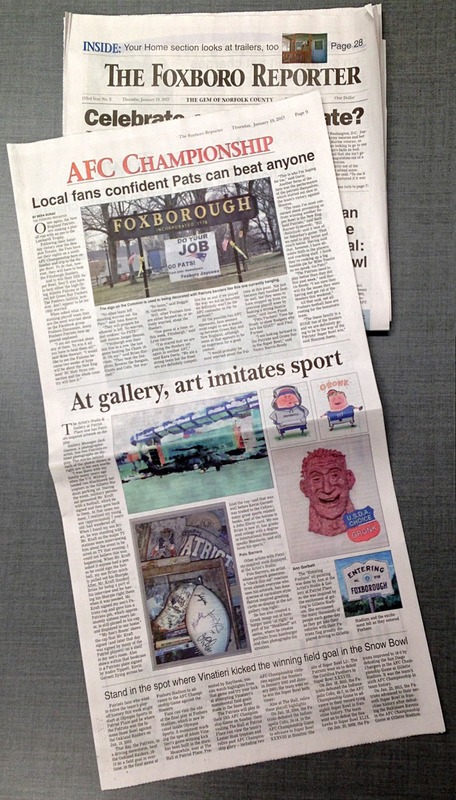 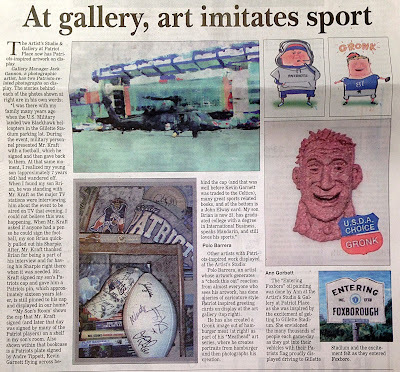 The local Foxboro newspaper did a story on our art gallery and the artists who have done Patriot themed work. 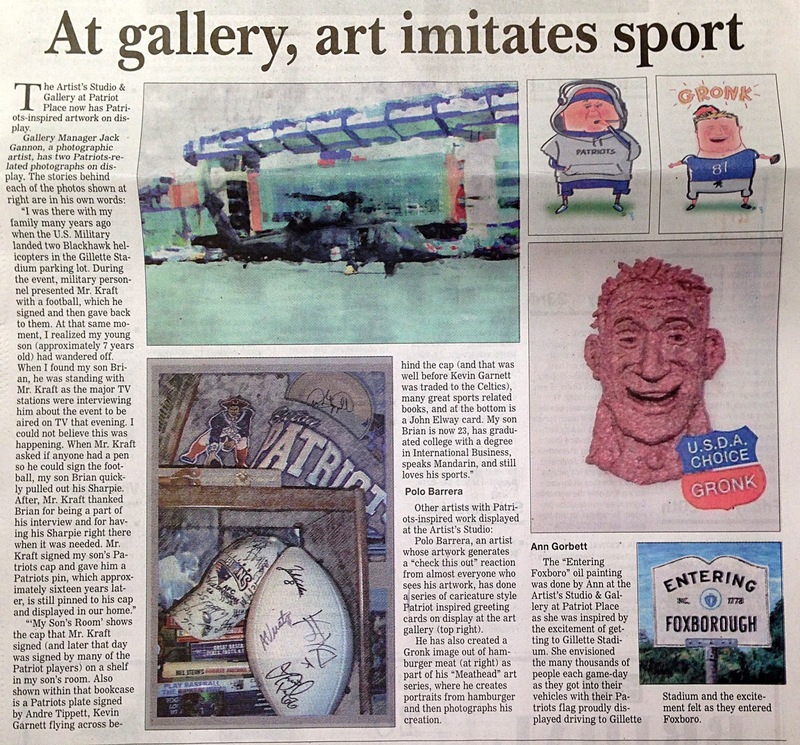 Both my and Polo's artwork was featured. 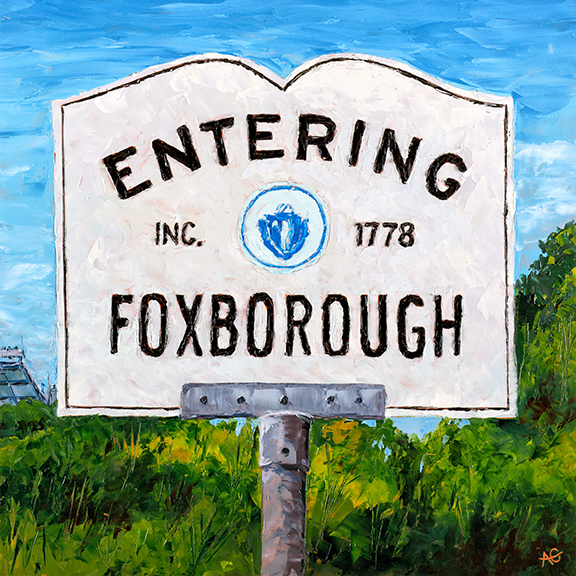 The painting above of the Entering Foxboro sign was shown. 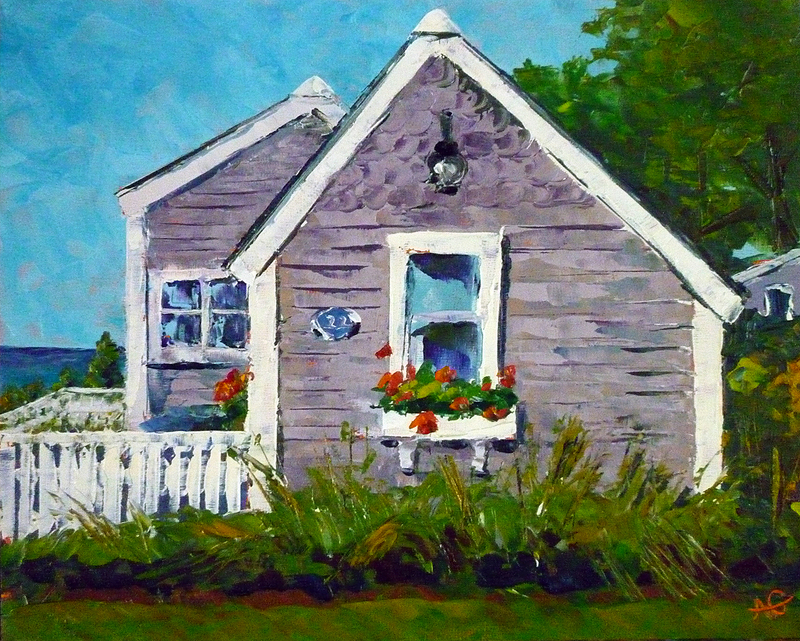 This painting just sold this past December, bought by a local woman as a gift for her husband for Christmas. 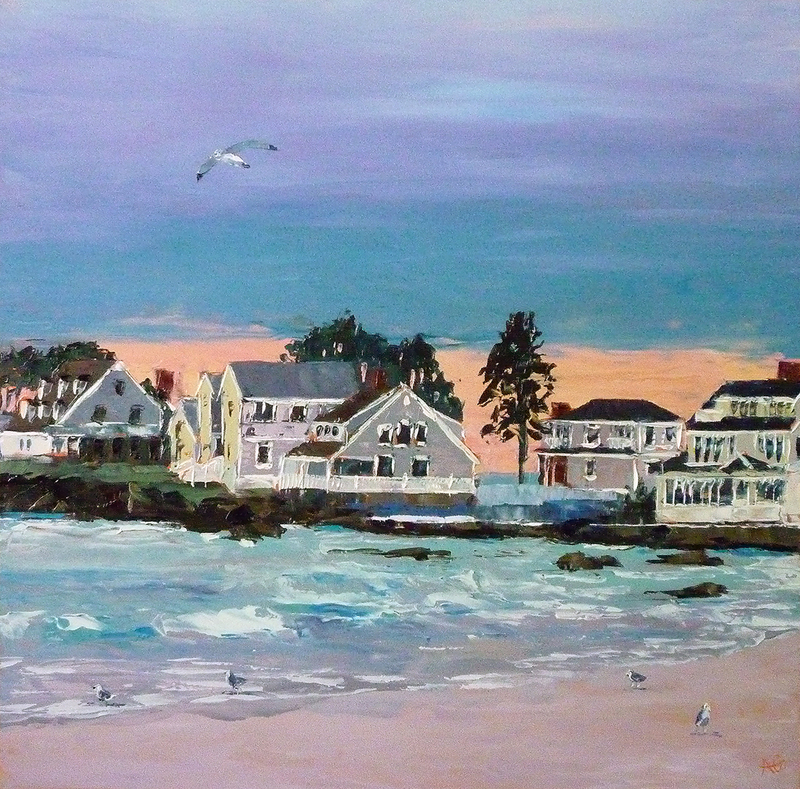 For our 15th wedding anniversary this year, we spent a couple of days up in Kennebunkport, Maine. It snowed the first day, and while cold, it made for very picturesque views. 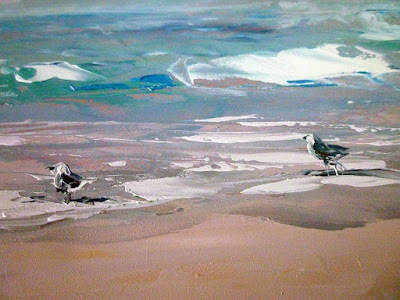 We drove along the coastline, and took lots of pictures to use for painting inspiration. This was one of the views that was calling me to paint it. The orange glow of the sky along the horizon behind these amazing homes nestled out on the peninsula is what caught my attention. As well as the flock of seagulls that were flying, swimming, and hanging out along the beach. This cute little cottage is where we spent a fabulous week last August-Maushop Village on Cape Cod. 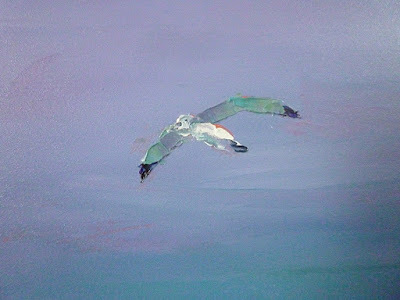 I painted this for my good friend Danielle's birthday so that she can be reminded of our summer fun all year long.